Books and films are literally everyone’s cup of tea. There is no a single person in the world who wouldn’t like to devote some of their time to either reading a book or watching a film. With all the recent releases, it will be hard to keep track of which are worth spending time on. I am Liezl, a book lover and a movie nut. In my years of being a devoted fan of both mediums, I would like to share my thoughts and words on today’s recent releases. I’ve been a bookworm and movie lover ever since I was younger. I love both reading and watching movies as it takes me to different places, lets me various stories in different views, and it educates me as well. I’m so into reading books and watching movies that I can even spend countless hours reading a book or binge-watching a movie. But then, I realized that keeping what I’ve learned or watched to myself is kind of boring. Thus, I’ve decided to start sharing what I’ve read or watched. For me, my passion and love for books and movies would be a bigger helping hand for many as there are tons of books and films out there but only a few are really worth reading and watching. In this blog, I aim to share with you my personal thoughts on some of the books that I’ve read. I’ll also be giving you my views, based on my personal standards, about the movies that I’ve seen. Through this, I hope that you could easily identify which books and films are worth your time. Also, since I am both a movie buff and a bookworm, in this page, you could find a wide variety of reviews on different genres of books and films. May it be horror, romance, drama, educational or whatnot, you can rest assured that I got your back. In this fast-paced society, it can be quite hard for most of us to find books or films that are really worth reading or watching as it’s usually like a trial and error to really find a good book or movie. Allow me, a book lover and a movie buff to lend you a hand. 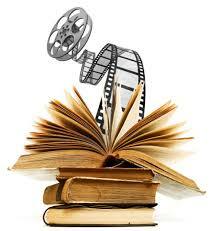 My reviews would surely give you a hand in narrowing down your options on books and movies to watch. That being said, may you have fun reading my reviews as much as I enjoyed writing them.